To remotely control your scanner, it must be connected to the computer running the the Scanner Monitor app from the Chrome Web Store. No port forwarding or other network setup needed for remote access. With your scanner connected, you can remotely control it with an iPad, iPhone, Android, Desktop, or Laptop with just a web browser. Simply log into this site to see your scanner and control basic functions. Connect your BCDx36HP scanner to the computer with the USB cable. Select the port for the scanner connection from the list. On Macs, the port may look like /dev/cu.usbmodemxxxx. If you started the app before connecting the scanner, click the Refresh List button to reload the ports. Click the Connect button and the display should show the scanner is connected. Click the Enable Remote Control button to control the scanner from another computer or mobile device. If you don’t have an account created on the scannermonitor.com website, click the link to register. Otherwise, enter your username and password. With the other computer or mobile device, log in at scannermonitor.com and you will be shown a remote interface for your scanner and should see the same information display almost instantly. Connect an audio cable to from your scanner audio jack to the audio-in on the computer with the Chrome app. 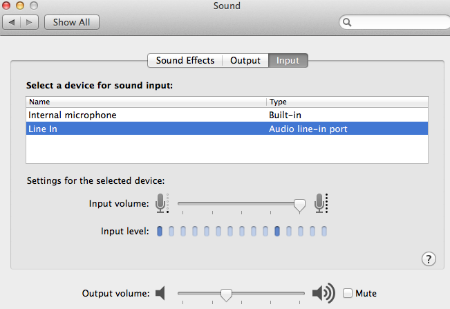 Configure your computer sound settings so the audio input is the audio from the scanner and not the microphone. Check the Stream Audio to Remote checkbox on the Chrome app to start streaming. You should see an audio display on the app and will start streaming the audio to your remote device. The remote device must be logged into the scannermonitor.com website. The audio streaming technology is WebRTC (Web Real-Time Communications). Not all mobile browsers support this new technology yet. Android phones using the Chrome browser do support this feature, while iOS devices currently do not.